In the northeastern corner of Spain, the rugged coastline of coves and promontories earns the name Costa Brava, ‘Wild Coast’. Reaching from Blanes to Roses, buzzing resorts sit alongside small seaside villages. Families, friends and couples flock to the amazing beaches and clear waters the coast has been blessed with, and golf enthusiasts come to enjoy the many golf courses, including the PGA course at Catalunya. 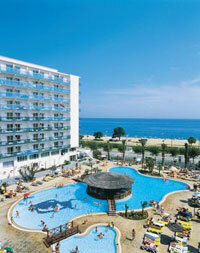 Lloret de Mar, on Spain’s sunny Costa Brava, is always a good bet for an all-inclusive break. Besides the cheap prices (all-inclusive packages are 4% lower than last year), its long, Blue Flag beach and splendid hilltop castle are ideal for days out, while the Iglesia de Sant Roma is one of the finest examples of Catalan Gothic architecture in the region. From May through to September you’re pretty much guaranteed good weather, with a warm Mediterranean climate and plenty of sunshine. Whether you’re lazing by the pool, strolling through the serene Jardins de Santa Clotilde or exploring smaller beaches, such as Fenals and Sa Caleta, Lloret de Mar offers a good mix of affordable activities to complement your all-inclusive fun. Tucked along the Costa Brava, buzzy Lloret de Mar is much more than a sun-soaked town that likes a good time. Thinking of heading to this vibrant resort for your next holiday? We’ve got four reasons why you should click book! Explorers, you’ll love the cultural treasures peppered among this seaside town. Swing by the Parish Church of Sant Romà and admire its dazzling blend of architectural styles. Set along the waterfront and designed with Italian Renaissance panache, the blooming Santa Clotilde Gardens make for a pretty afternoon walk, too. Don’t miss the Indiano Route either, which takes in grand neoclassical mansions and a modernist cemetery! If you love being in the great outdoors, Lloret de Mar has a slew of exciting activities to get stuck into. Have a go at the many water sports on offer or enjoy a challenging cycle ride through the area’s mountain passes – there’s more than 600km of road to explore on two wheels! Hiking fan? You’ll find trails that stretch along the coast and through forest here! Jetting off with little ones in tow? There are plenty of things to entertain everyone in Lloret de Mar! Zoom down the rides at Water World, one of the largest waterparks in Europe, explore hilltop Sant Joan’s Castle and take leisurely walks along the coast. There’s also pitch and putt if your family love a little friendly competition, as well as a free miniclub down by the beach! The sun-kissed Costa Brava is tailormade for beach breaks. Both Lloret de Mar and the surrounding area have tranquil Blue Flag beaches to spend a day unwinding by the shore. 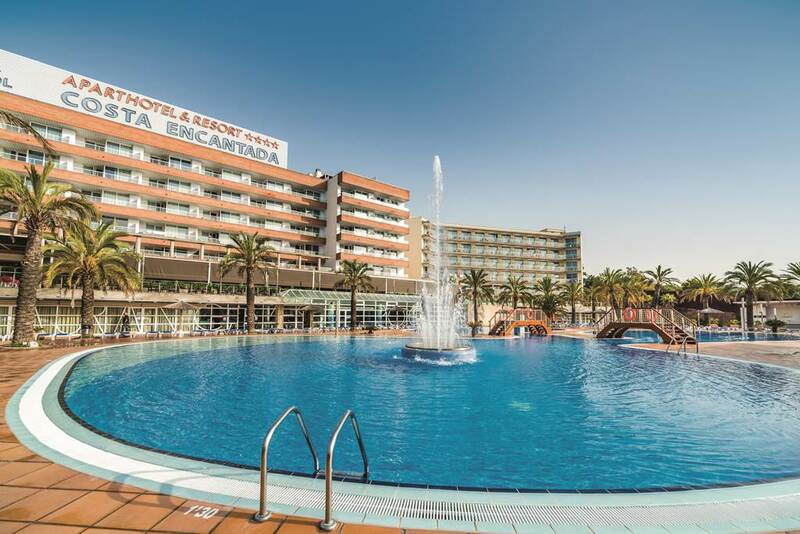 Lovely long Lloret Beach has ample room for an afternoon by the sea, while Sa Caleta Cove has gorgeous castle views for you to admire as you lounge by the water’s edge. Step into sophistication. The Rosamar Es Blau is a brand-new property boasting a friendly atmosphere, pristine outdoor pool, rejuvenating spa with whirlpool and a well-equipped gym. Near the beach? Check. The Hotel Maritim is a good choice if you’re looking for a lively holiday in a central location with modern‚ stylish rooms. With two pools to choose from and the beach just 5 minutes walk away‚ there's plenty of ways for couples to enjoy the sunshine at the Hotel Aquarium. 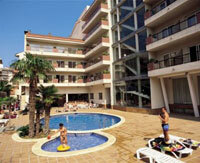 Located only 580 metres away from the Fenals area of Lloret de Mar, Lloret itself is 1 km away. Situated in the heart of Fenals, the Oasis Park Hotel is ideal for those looking for a perfect balance to their holiday. The Olympic Park offers an extensive range of facilities to keep even the most energetic fully occupied. With Mediterranean cuisine in its buffet restaurant, family-friendly daytime fun, and all-inclusive evening entertainment. 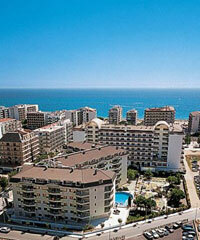 The Aqua-Hotel Promenade enjoys a prime location on the main promenade, opposite Pineda Beach. The Taurus Park is a great family choice with non-stop activities, two open air pools and two kids' pools. Situated on a quiet promenade of Santa Susanna, holidaymakers of all ages will appreciate the wealth of luxury and amenities. This hotel is superbly located on the promenade of Santa Susanna, and is perfect for couples looking for plenty of facilities. 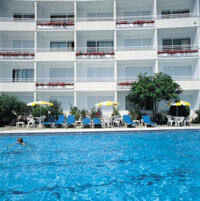 The Montagut is a very attractive and welcoming hotel near to the resort centre and the beach. 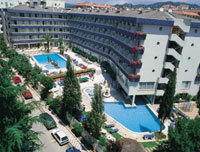 A well maintained and cosmopolitan hotel located in a prime location on the seafront road. Great views from the roof terrace, catchy tunes from the piano bar, and sumptuous massages in the health club. Situated on a gentle slope overlooking the bay of Tossa de Mar‚ the Gran Reymar is an ideal base for couples. Located in a tranquil part of Tossa de Mar, this property is ideal for exploring both new and old parts of the town.